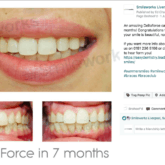 Here at Smileworks we believe that everybody has the right to feel beautiful when they smile. Whether you’re in the office or on the beach, your smile says everything about who you are. But for many people, you can’t enjoy life to the full because you hate your teeth. 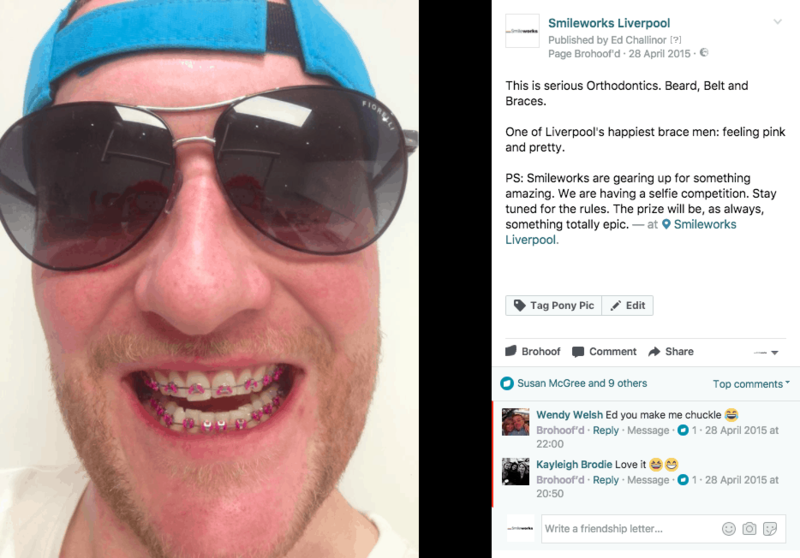 Crooked teeth can affect the way you feel about yourself, and many of our Liverpool braces patients say they don’t smile on photos, hide their teeth and constantly fee self conscious. 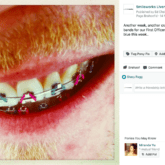 It’s time to stop worrying and start thinking about getting braces today. 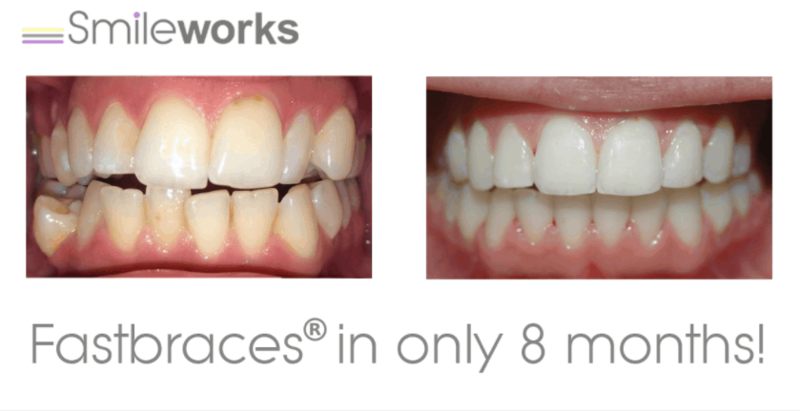 Your talented Smileworks dentists and orthodontists have the technology to straighten teeth more discreetly than ever before. 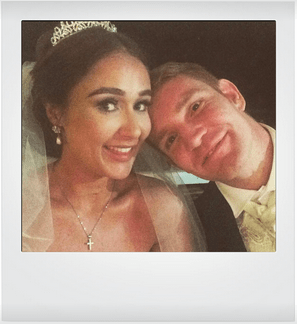 We can even straighten teeth in half the time of some braces giving you more choice about how to get your teeth straightened here in Liverpool. 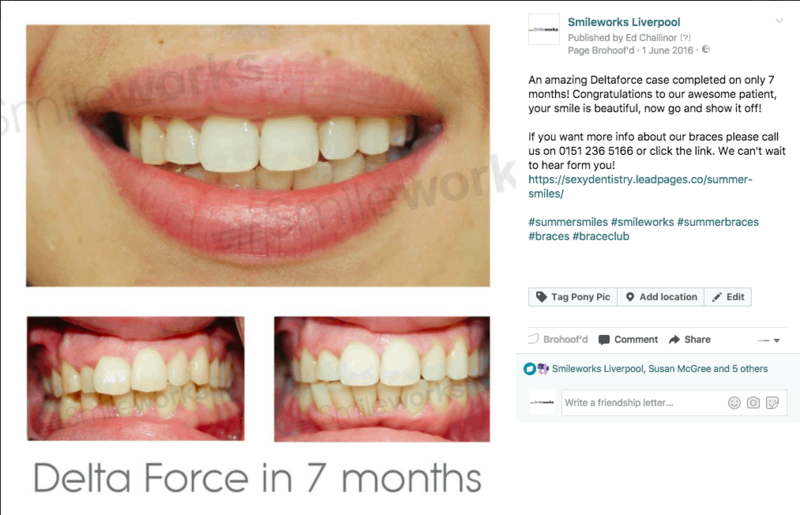 Smileworks are a specialist orthodontist practice and we treat even the most complicated cases so you can enjoy a future full of happiness, confidence and success in the knowledge you’re being looked after by true professionals. 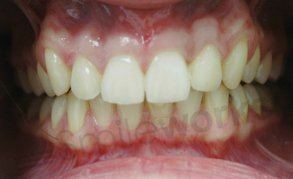 You may ask, ‘how much are braces?’ and the answers are below in our section on braces prices. 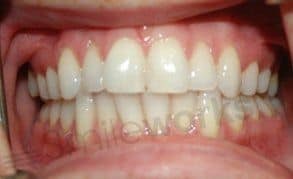 Remember all our braces all come with free retainers and free whitening so you’ll feel like you’ve had a smile makeover with your new straight, white teeth. 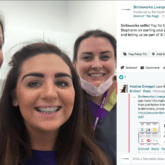 Here at Smileworks Liverpool our braces patients say they “love everyone at Smileworks so much” and that we’ve “become friends.” So come to the dental practice where you’ll “look forward to every visit” and “never want to leave” by booking your braces assessment below. 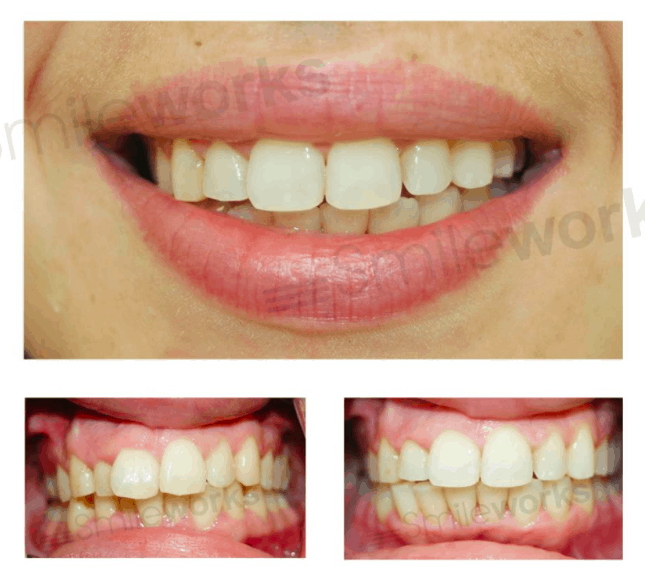 Here at Smileworks we understand how fixing your smile can often mean fixing your entire life. And we also understand that more smiles means more perfect days and more happiness. 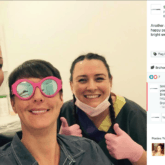 So make an appointment with one of our braces dentists today and start living the life you imagined. It’s time to start believing in the beauty of your dreams. It’s time to start Smiling. 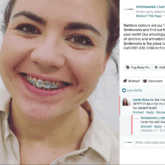 Before we get into the details of the different braces systems here’s Dr Laurence our Specialist Orthodontist explaining what you can expect from treatment. 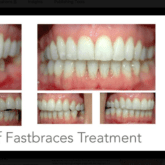 Fastbraces® is a train-track style brace that gives patients supremely quick results for the right patients. The patented system uses a triangular bracket and a square, heat-activated wire to correct the position of the root of the tooth. 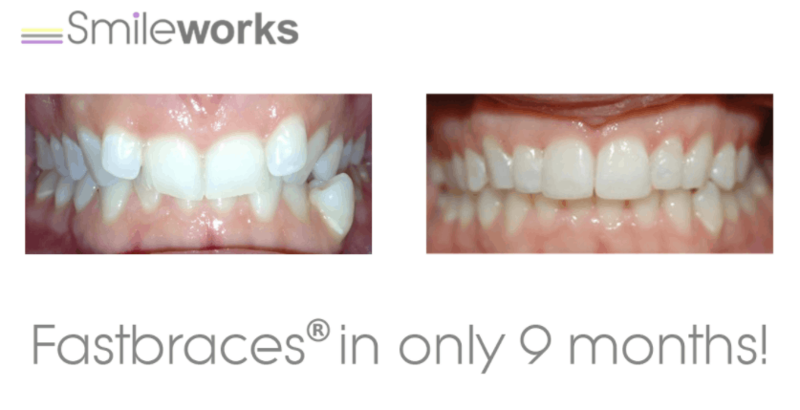 Fastbraces® realigns both the root and crown at the same time. 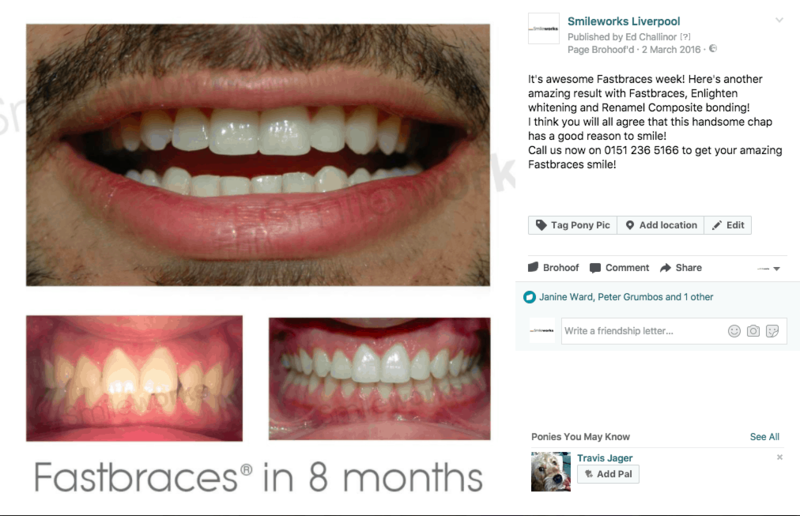 Fastbraces® are revolutionising the field of orthodontics and are available at a competitive price here at Smileworks. 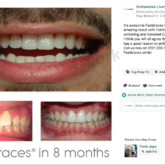 Fastbraces® treatment includes your consultation, initial hygiene visit, photos, X-rays, brace care kit bag and – of course – Enlighten whitening. Here’s the best Fastbraces video to give you a flavour. 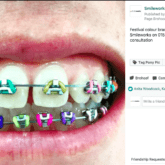 Sure it’s American – but so is Fastbraces! 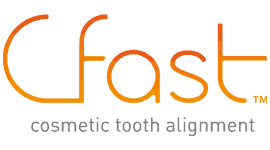 We have a main Fastbraces page where you can get more information on costs, patient testimonials and more: Fastbraces. 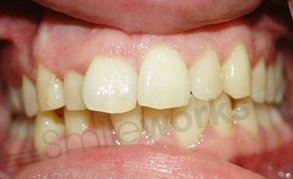 The Inman Aligner utilises a lingual coil spring that puts pressure at the back of the teeth that need repositioning and a bar that is placed across the front of the teeth reverses the same pressure. 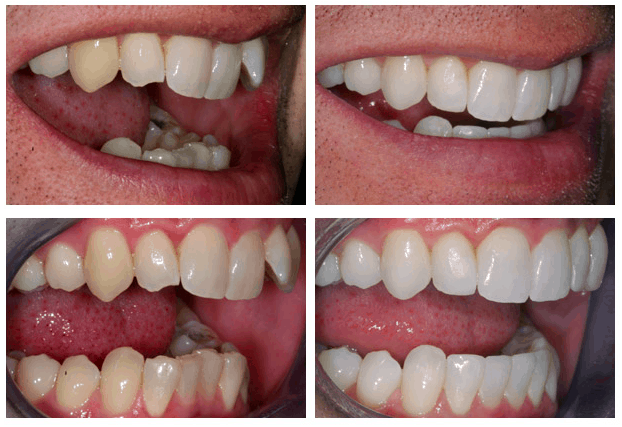 These components work together to “squeeze” teeth together by pushing and pulling them into alignment. 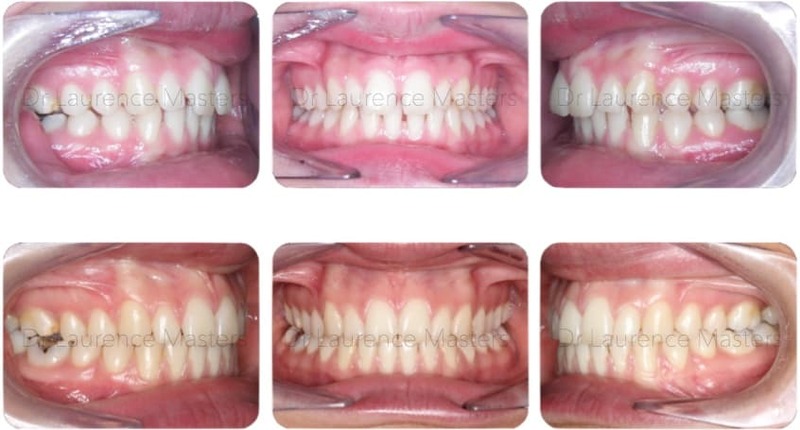 The Inman Aligner is designed to correct adult relapse and misaligned teeth. 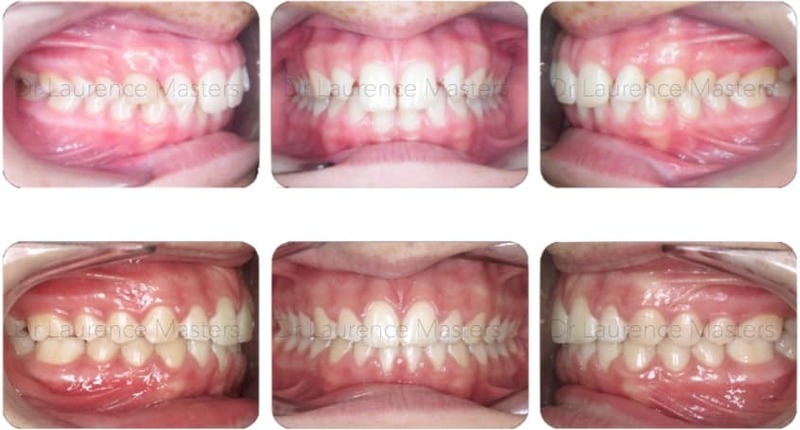 It is barely visible, apart from a single clear wire, and it is a removable orthodontic appliance, allowing you to go brace-free for important occasions. 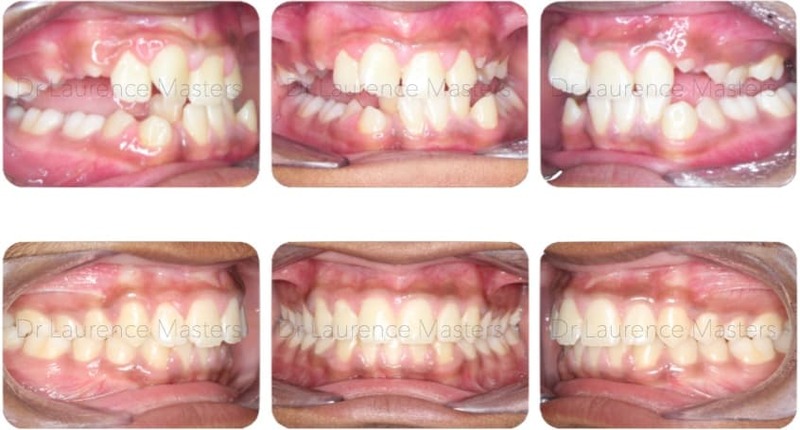 Read more information on this remarkable 16 week removable retainer here: Inman Aligner. 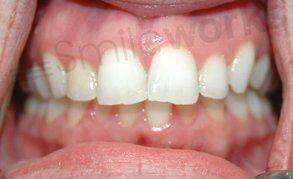 Cfast are very discreet and hard to notice unless people get really close, they will not affect your speech or eating. 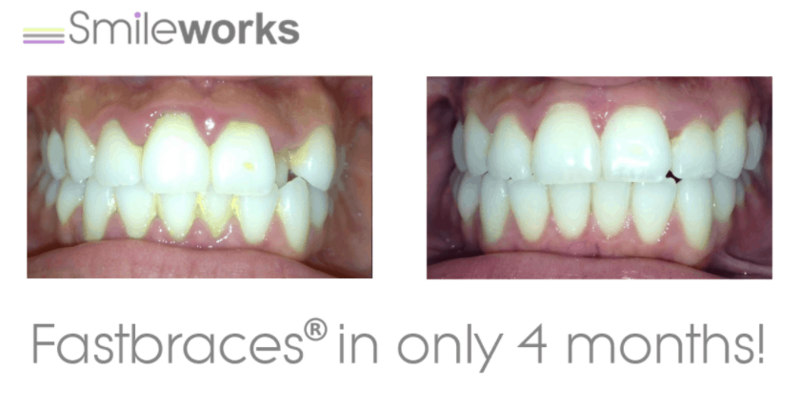 By using aesthetically pleasing clear brackets and tooth-colored nickel-titanium wires placed on the front surface of the teeth, Cfast is readily accepted and proving hugely popular across the world. 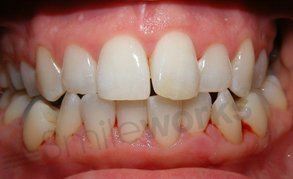 Unlike many clear aligner systems, the movement is more predictable and is typically completed in around 5 months. 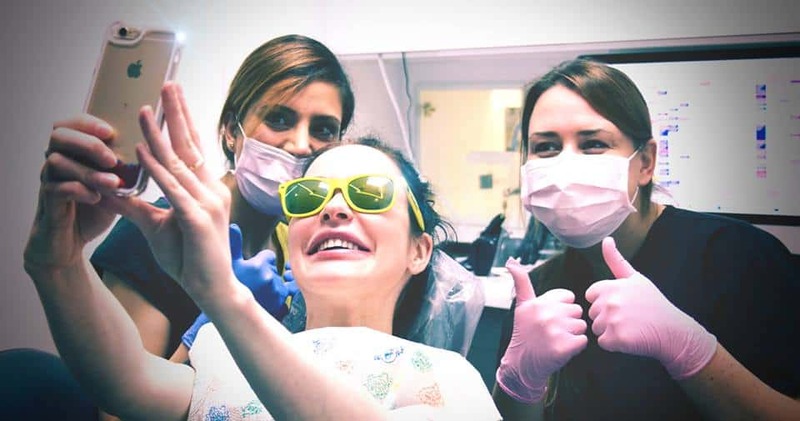 Cfast is not a replacement for conventional orthodontic treatment, but is aimed at the front “social 6,” teeth, involving simple corrections that can be carried out easily by our certified dentists. 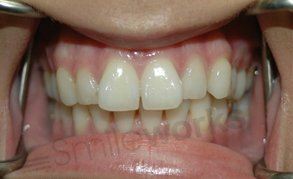 Invisalign can move your teeth without anyone noticing. 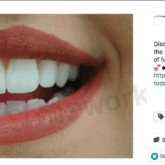 It is a series of nearly invisible, removable aligners that are custom-made for your teeth. 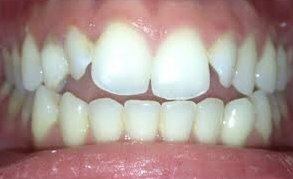 Each aligner is replaced every two weeks, gradually moving teeth into position. 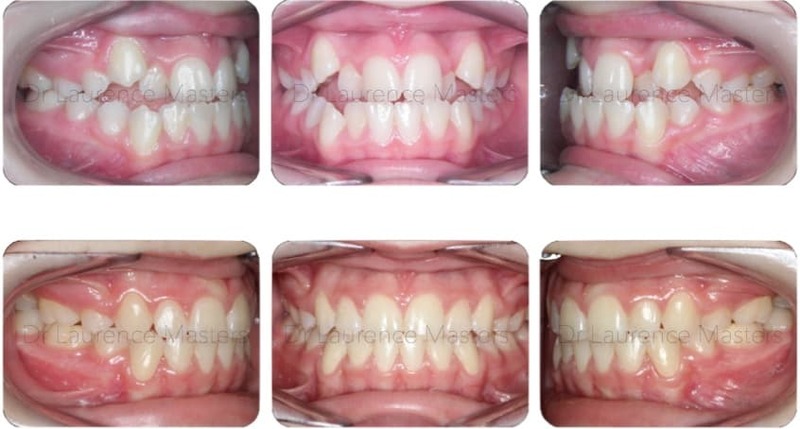 Invisalign is comfortable, clear and removable, transforming your smile without disrupting your life. 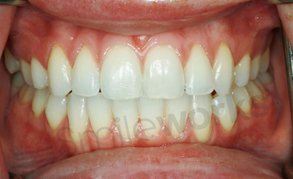 Invisalign is suitable for mild orthodontic cases only. 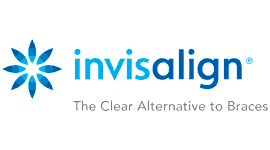 For more information on Invisalign and Clear aligners take a look at our page here: Invisalign Liverpool. 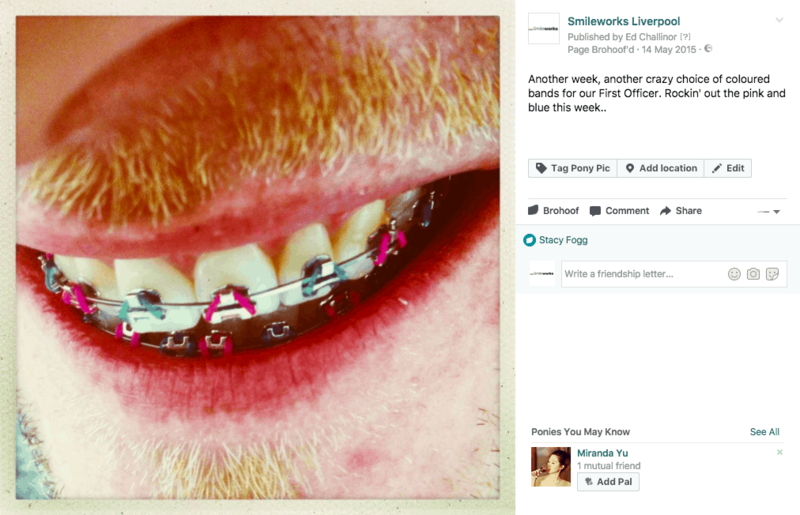 Invisalign is not the only hidden type of braces that we offer here at Smileworks. 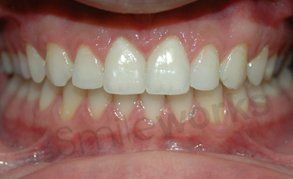 Follow the link here for braces that are attached to the backs of your teeth and completely hidden. 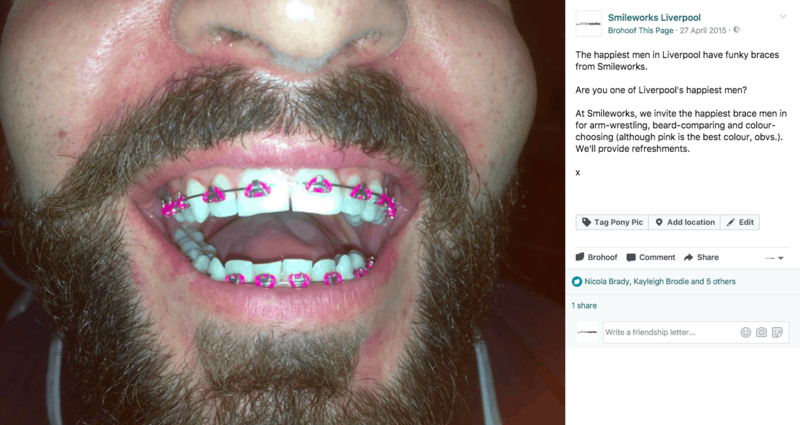 They are called Incognito braces. 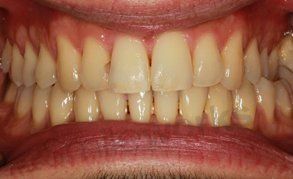 Some patients have treatment needs that are beyond the scope of orthodontics than can be delivered by general dental practitioners. 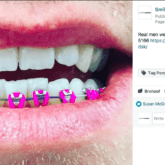 This is why we have a specialist orthodontist working with us in order to be able to treat difficult cases to the exceptional standard that we are used to without the need for an out of house referral. 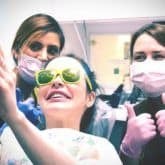 Specialist orthodontists undergo more training than general dentists and use different tools and techniques to achieve results. 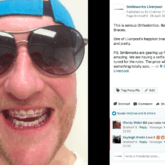 It is worth seeing a specialist if your orthodontic problem is especially complex, or if you are an adult with very crooked teeth and have been told you may benefit from specialist treatment in the past. 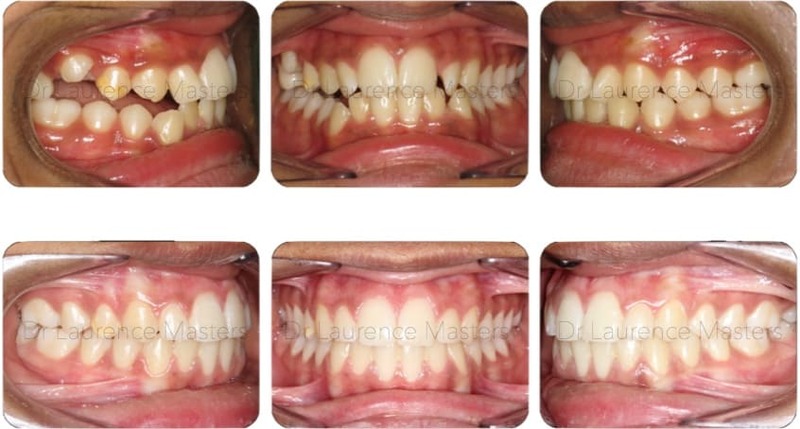 The treatment time is usually longer than with simple short term orthodontic solutions such as Fastbraces® but this is related to the complexity of the case. 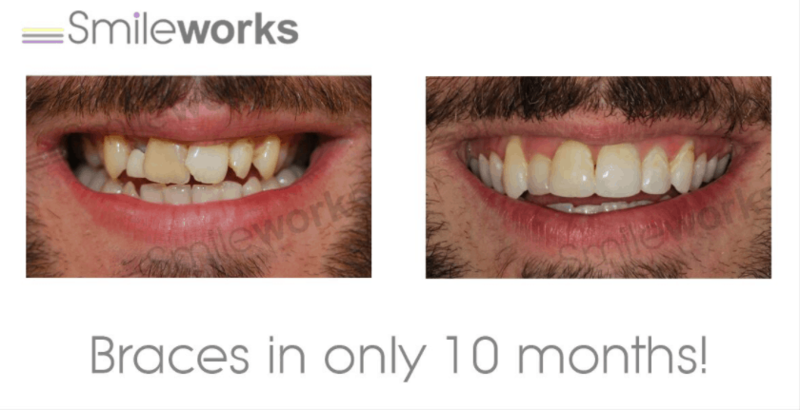 At Smileworks there are no waiting times to see a specialist orthodontist and you can usually expect to be booked in within a short time. Children must receive the best possible care in order to develop teeth that function properly in adult life. 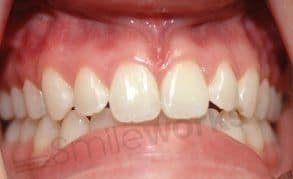 It is common for children to have crooked teeth and this often needs to be treated with braces so that their face can develop better. It is important to start this early on in order to reduce the need for complex treatment later in life. 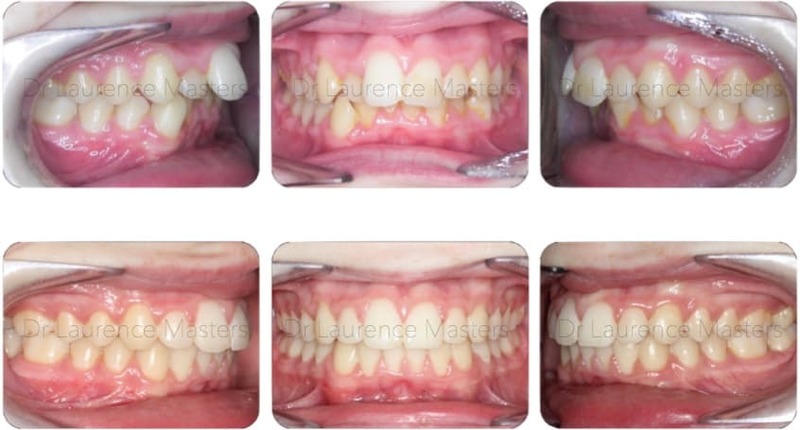 Our specialist orthodontist can treat children with mild to complex needs for braces, so that you can be sure your child has the best possible treatment. 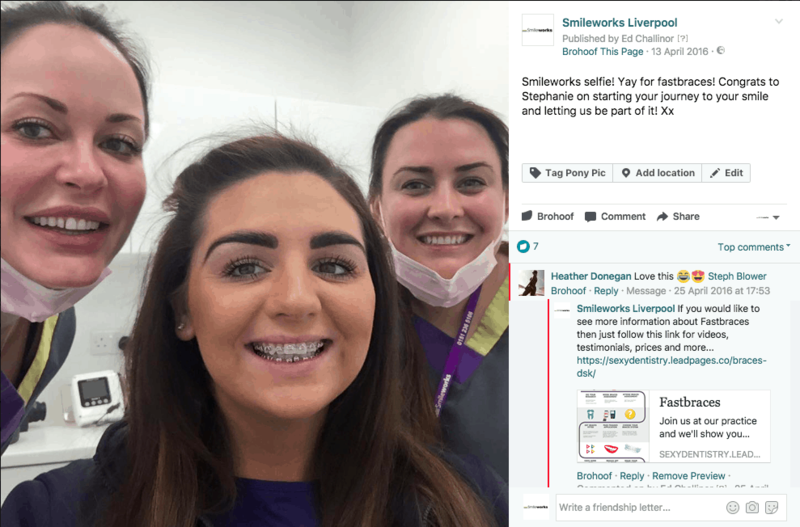 Whereas in the NHS there may be very long waiting lists, at Smileworks you can expect to see the specialist orthodontist within a matter of weeks. Our surgery is open late and at weekends so your child will not need to miss lessons (although they may want to!) 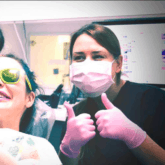 and you can rest assured that treatment will be done quicker, meaning they have more time to enjoy being kids and less time worrying about their wonky teeth. 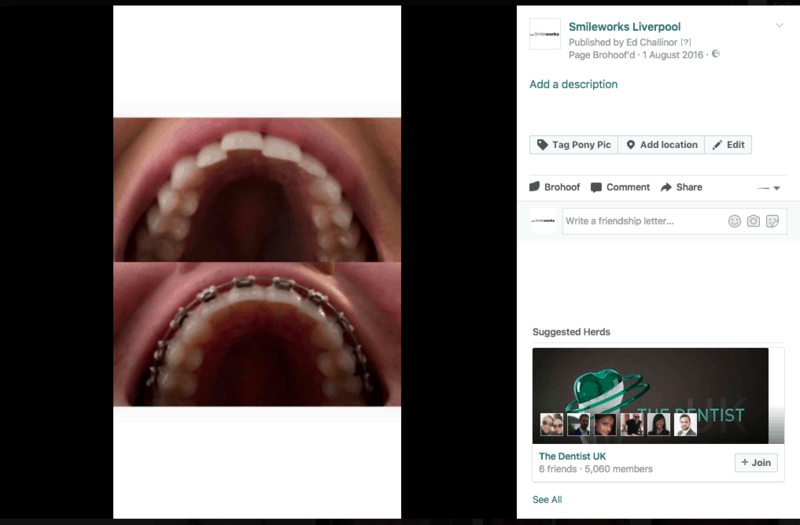 "I got my fastbraces at Smileworks MJ is the best dentist around she's is amazing. 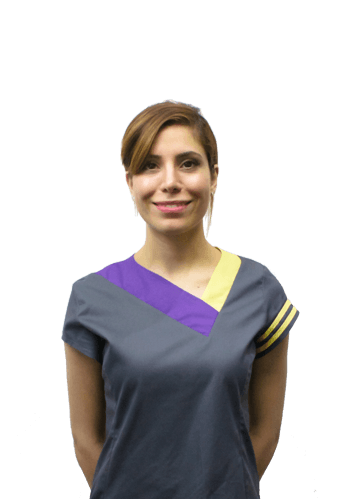 Her and the team are the happiest friendly people you will meet, they go out of their way to give you the best treatment and service." 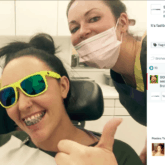 "Getting braces was the best thing I've ever done, I couldn't imagine of going with anywhere else. 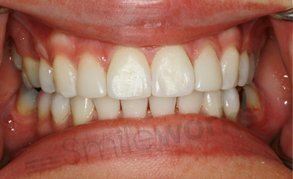 I'll be gutted when I have to get my braces off"
"Just had my fast braces removed and couldn't be happier with the results !!! 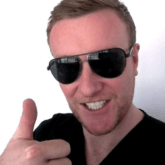 Can't recommend this place enough, great results and great staff." 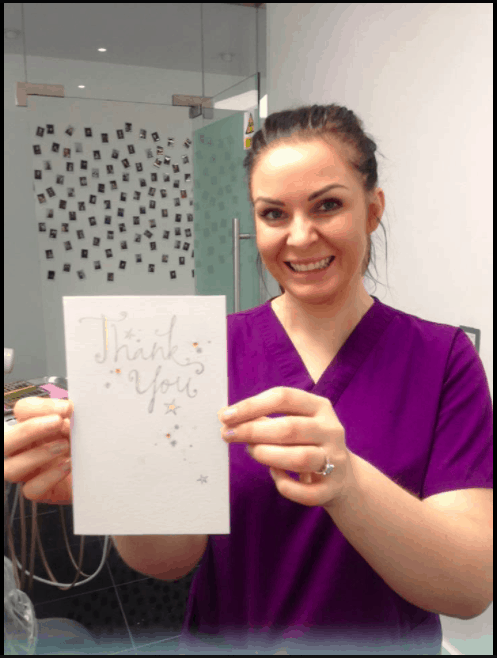 "Had fastbraces fitted here by Shirin 6 weeks ago. Consultation was great very open and honest, gave me a clear idea of what could be achieved and gave a very good price for service." 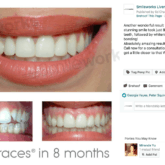 "I opted for the fast braces and I'm glad I did as it only took 7 months to get the amazing straight white teeth I have always wanted." 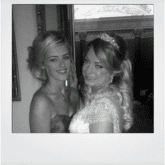 "I had the brace for around 7 months and I absolutely loved it (I actually miss it now). 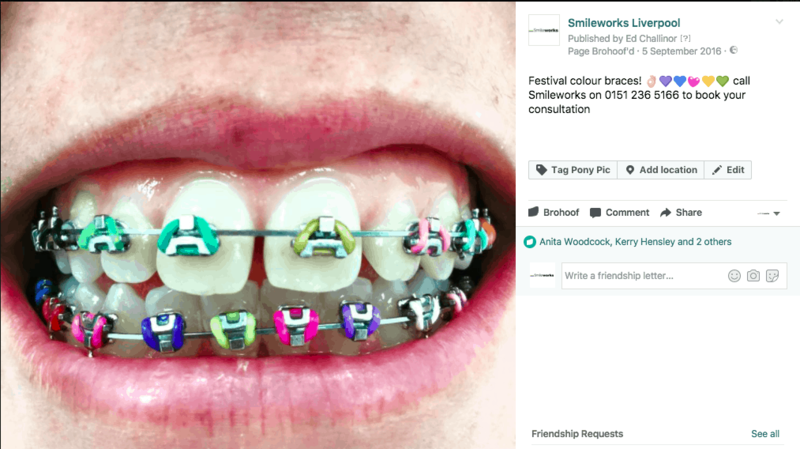 I thought I would hate wearing it, but MJ and Charlene made it so fun picking different coloured bands"
"I received Fastbraces from Smileworks which were complete in just over 6 months. 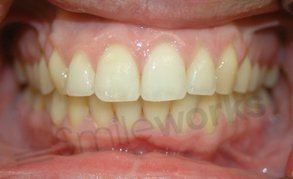 I then had whitening (included in cost) and fillings and filing to complete my new smile. 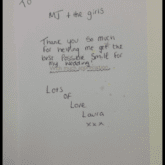 I am over the moon with the work undertaken and so glad I had the work done there." 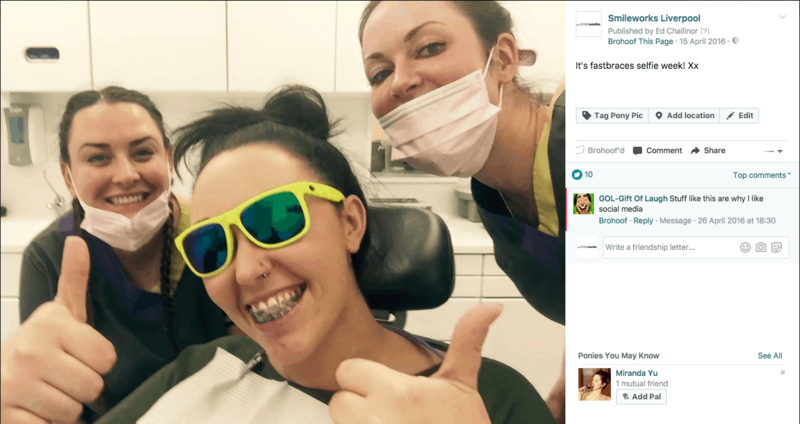 "I got my brace on in October and it came off 2 weeks ago I absolutely love my new teeth!! 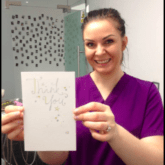 #perfectteeth #fabulousstaff"
"Everybody makes you feel completely at ease. 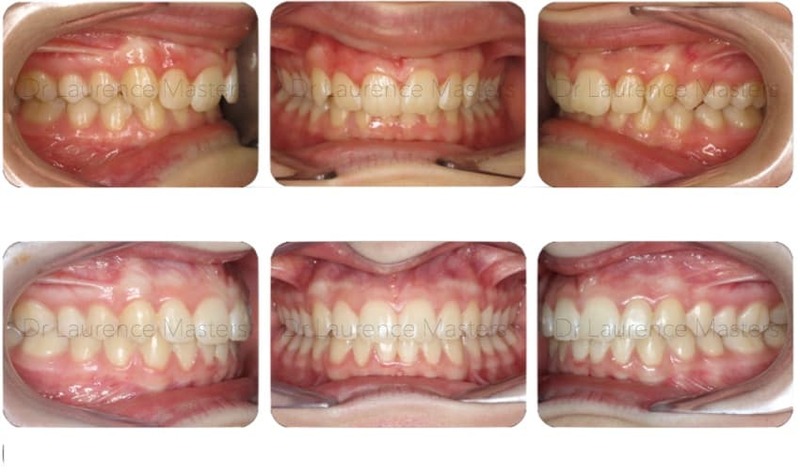 I am three months into my treatment of fast braces and love how much my teeth have changed already!" 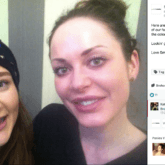 "I never thought I would be brave enough to get my wonky teeth sorted. I now have a brace and in another couple of months should have the teeth I have always dreamt of having." 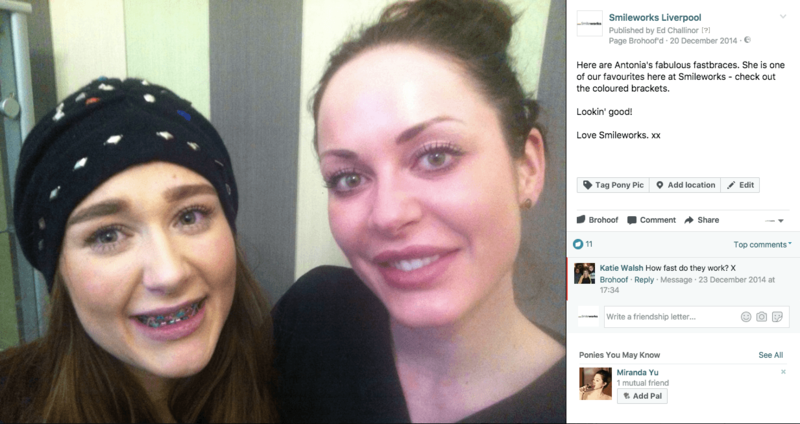 "From the minute i went for my braces assessment i knew it was the practice for me! 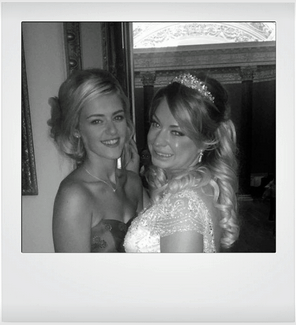 From the receptionists mimi and ellie to my actual dentist bambi i could not have been happier!" 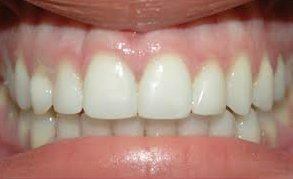 For a brace assessment the price is just £40 for a general dentist and £50 for a specialist orthodontist. So you have nothing to lose and possibly a life-changing journey ahead of you. 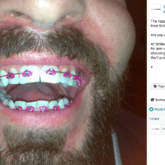 So how much are braces? Here are our prices for all of our braces systems for 2019. 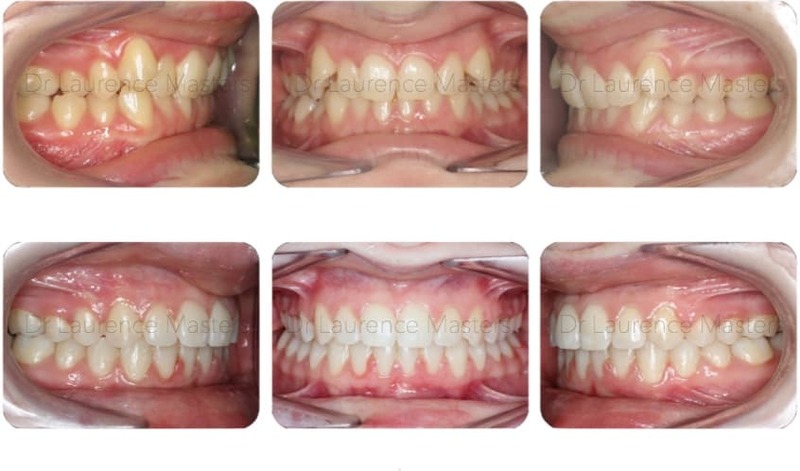 Our braces cases are graded from 1-3. 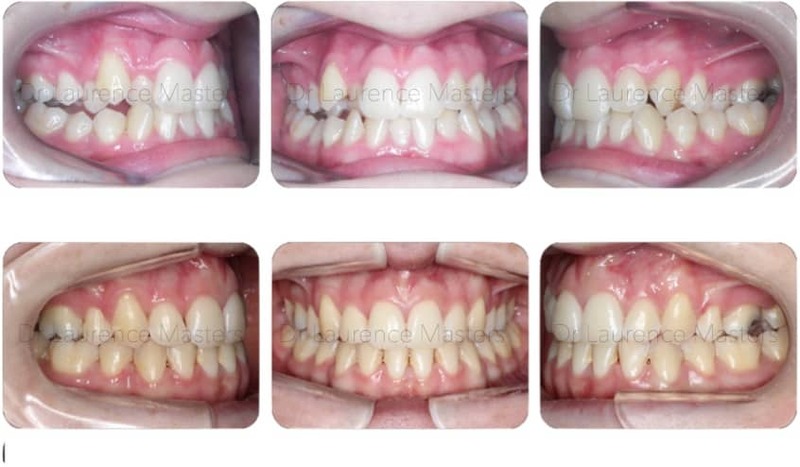 1 are the typical cases that are relatively straight forward and 3 are the more difficult cases. You'll expect to be quoted an additional 10-30% if your case is graded difficult. This reflects the additional time and work that goes into the more complex cases. 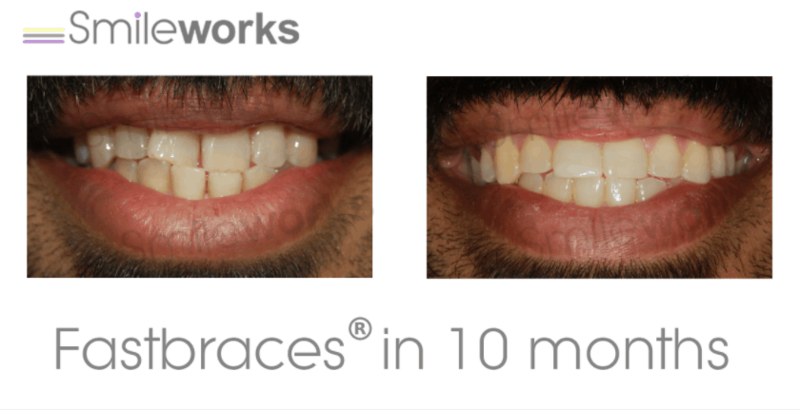 Smileworks are a specialist orthodontic practice and we are able to treat even the most difficult cases with a variety of orthodontic systems that are not included in these prices. 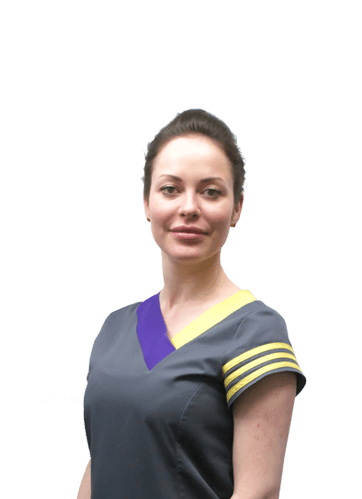 Come along for a consultation and you'll be able to get an accurate quote. 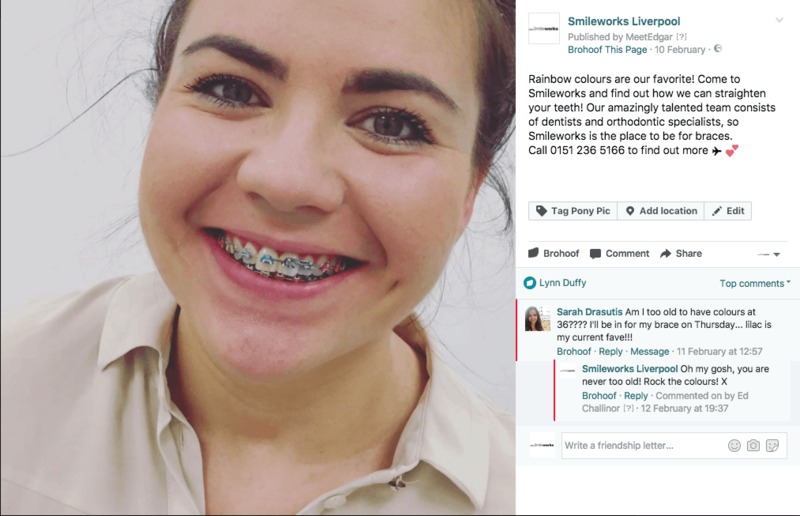 Once you've finished your braces treatment here at Smileworks you'll be invited to join "Brace Club" our exclusive braces membership. 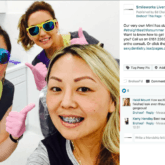 To learn more about Brace Club and the awesome benefits and goodies, take a look at our dental memberships. 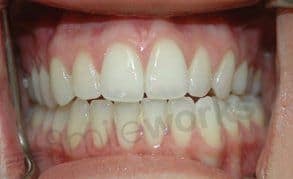 If you’re specifically interested in the costs of invisalign and invisible braces then take a look at our main article comparing invisible braces costs and prices here: Invisalign cost. Heres a helpful table outlining the cost and benefits of different braces systems available in 2019. 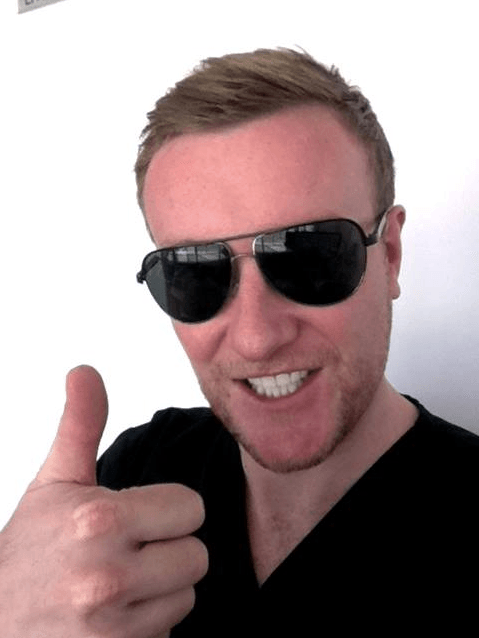 Braces prices and average finance repayments. 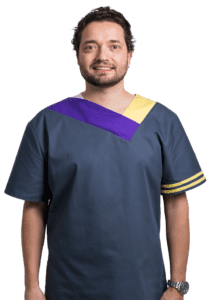 *Calculations based on £500 deposit with 24 Months at 9.9% These values vary considerably depending on how many years repayments you would like, the interest amount and your credit score. 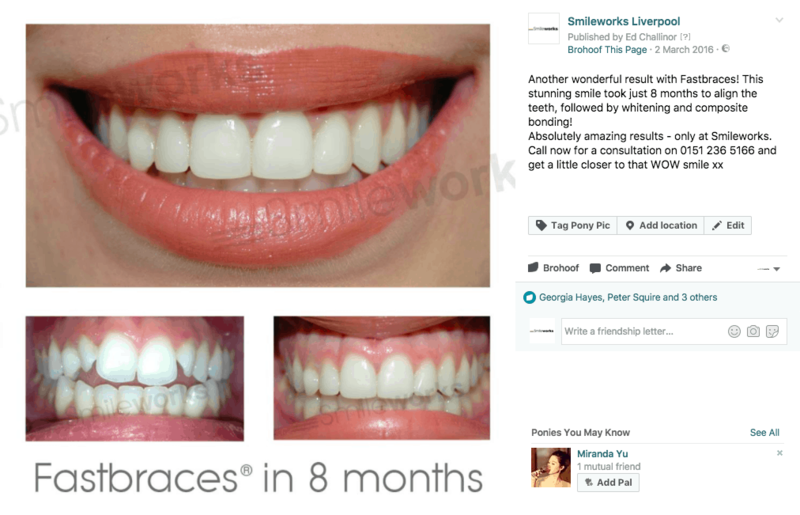 Here at Smileworks we help literally dozens of beautiful braces patients a week. 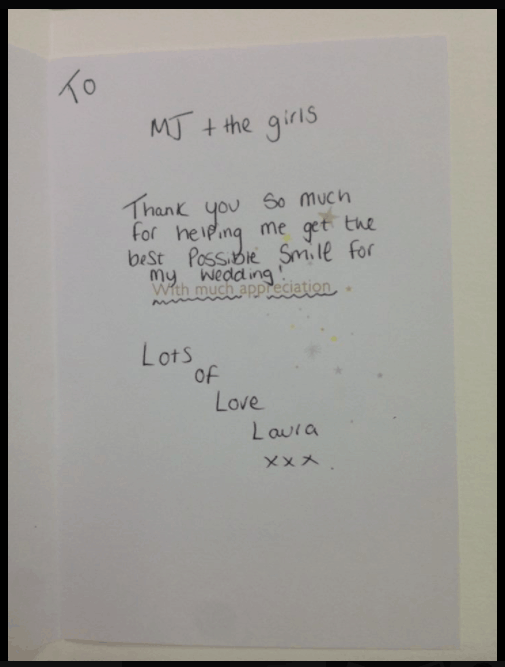 We not only straighten their teeth, we help them feel better about their entire lives. 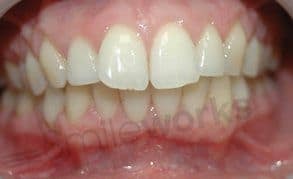 Braces are a lifestyle choice and whether you’ve gone for invisible, fixed or removable, the results are always really special. 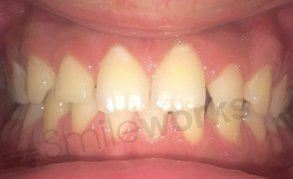 Smileworks are a specialist orthodontist and our master orthodontist Dr Lawrence Masters helps us with the more tricky cases. 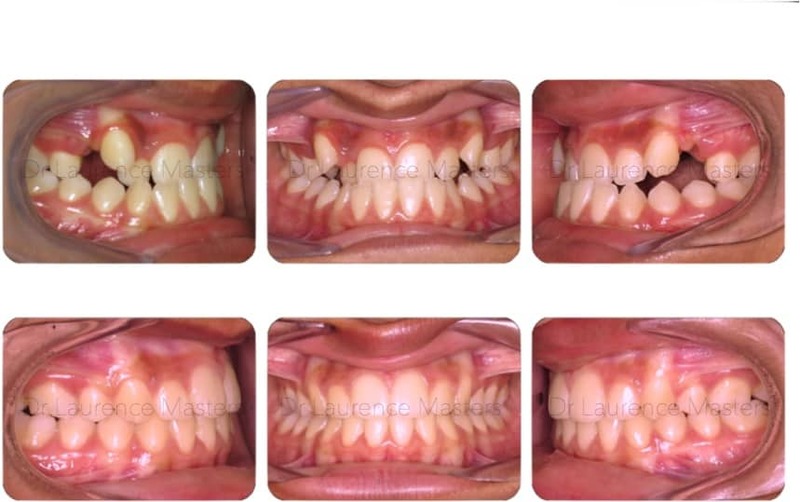 Each braces system comes with guaranteed results and also free whitening. 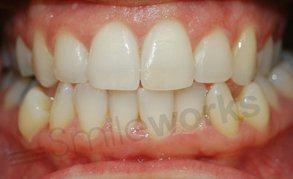 Some of these images were taken at the end of the patient’s treatment before their whitening. 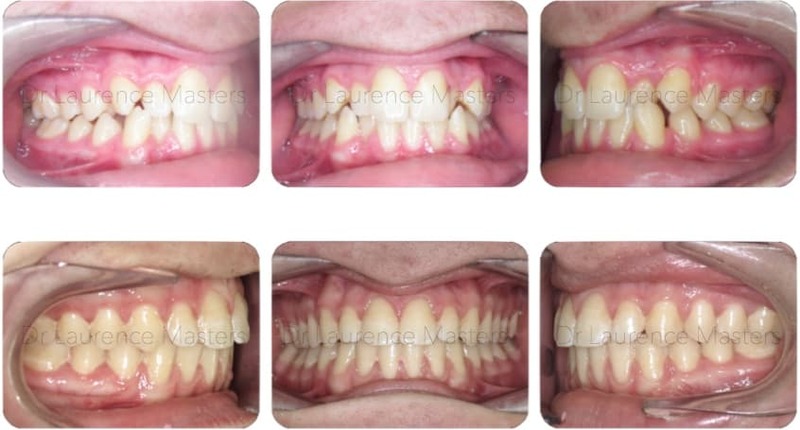 We have to take our snaps while we get the chance and these are clinical images. 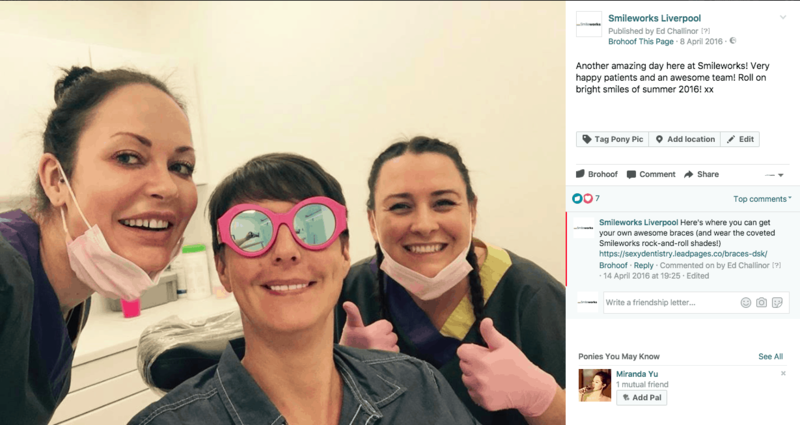 However, we’ve also included some social media images in the diary to show you the final results and how happy our patients are. 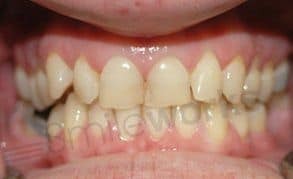 This is a before and after gallery. If you’re looking for more general braces information like prices, options and the procedure then take a look at our main page here: Braces Liverpool. 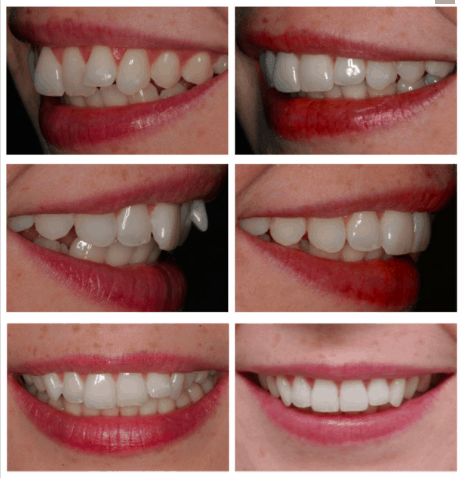 Many of our braces patients finish their braces treatment and decide to have composite veneers or composite bonding. 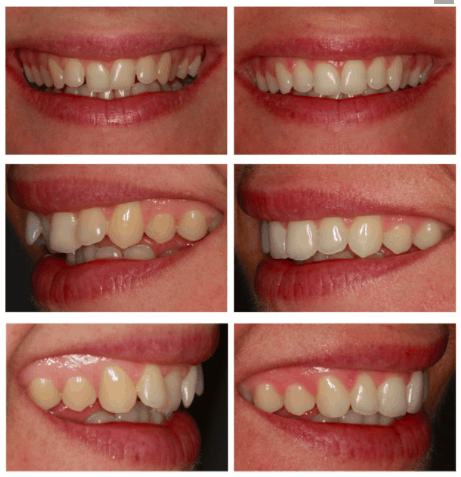 This helps refine the shape of the teeth and is a really great, simple and quick procedure. 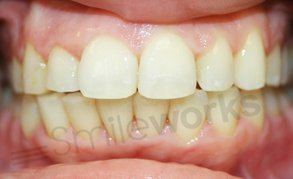 The reason it’s so popular is that it can create a really dramatic and special result, similar to a full smile makeover. 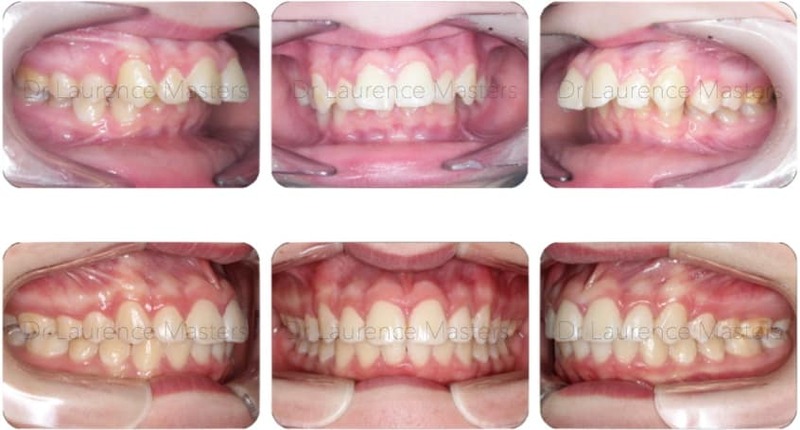 We’ve also included some examples of braces patients who’ve had bonding after their treatment. 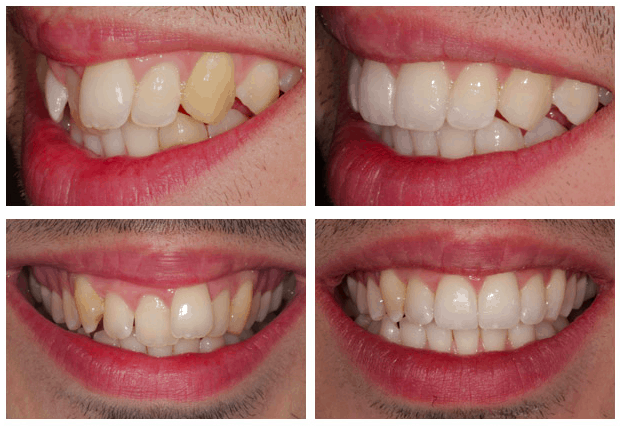 Composite bonding only costs around £100 per tooth and you can read all about it in our main composite bonding article here: Composite Bonding. One of the benefits of removable braces is that your teeth are easier to clean. 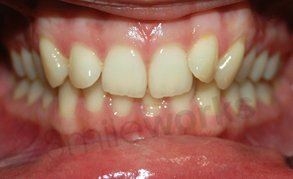 Fixed appliances and braces that are not removable can make it more difficult to keep your teeth clean. 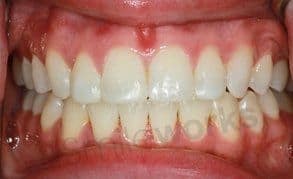 This can lead to problems with your gums and sometimes white spots and patches on your teeth. 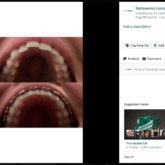 For a video about brushing your teeth with braces then follow the link. 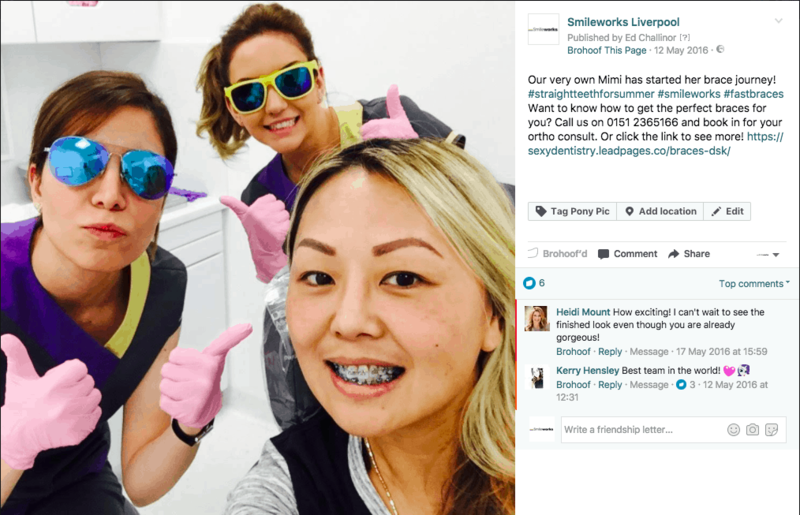 Here at Smileworks we take oral hygiene very seriously and your braces treatment includes appointments with our hygiene therapists. 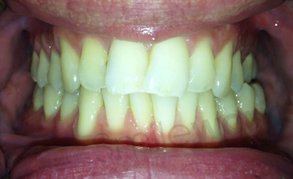 For more information on gum health and gum disease treatment take a look at our main page here: Gum Disease. 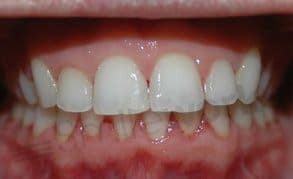 At your hygiene appointments the professionals will do a thorough diagnosis of the health of your mouth and will fix any issues like loose fillings or ay other problems. 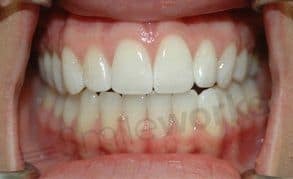 If you are worried about white spots on your teeth once you have your braces taken off, you can read how simple and inexpensive it is to have these removed with a treatment called Icon DMG. 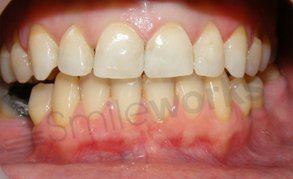 For more information follow the link here: White marks on teeth.